1. If I had a baby, I could dress it in this. 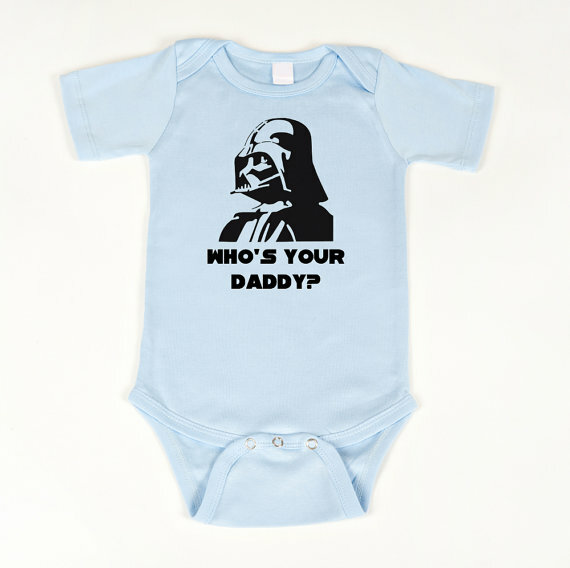 From Geekling Designs on Etsy. Not to mention other ridiculously precious and tiny articles of clothing and footwear. I mean, have you seen the kinds of things they make for babies these days? I can hardly walk past the baby department in Target without blowing a brain fuse from all the cuteness. If you see me in there wandering around with a vacant look and drool on my chin, that’s why. Just move on. Nothing to see here. 2. I’d be doing something meaningful with my life. Raising a child is probably one of the most important and amazing things a person can do—the more so because it’s freaking hard work. And I’m the world’s most obnoxious over-achiever, so if I don’t have a kid I’ll feel like my life is futile and insignificant. I realize how unreasonable that sounds, but I also realize how unreasonable it is to attempt to keep the spice rack in alphabetical order. Doesn’t stop me from doing it. Seriously, it’s kind of a drag being a grownup. Holidays and special events are dull. Life is an endless cycle of responsibility and boring chores (feed self, feed cats, pay bills, worry about money, clean house). And although I do occasionally color a picture or blow some bubbles, the zest is gone. Having children would mean feeling excited again about Christmas morning and birthdays and playing games and taking trips to fun places. See what I mean? Don’t you remember how everything was awesome and entertaining when you were a kid? How much you looked forward to stuff? I do, but now I’m just old and curmudgeonly. I need some youthful enthusiasm around here before I turn into a grinch. I have a husband and a family (not to mention four cats) I care very much for, and they all bring me a good deal of joy and fulfillment. But I know that parents feel a totally unique kind of love for their children—a feeling that no other experience in the world can give. I want that, even though I know I’d be trading sanity and time and energy and peace and independence for it (and also in spite of the fact that my reasons-to-not-have-kids list is actually longer than this one ::nervous laugh::). The heart wants what the heart wants, amirite? Love this. You make me giggle. Thanks 🙂 Keep posting precious pictures of your child on your blog so I don’t get chicken and back out on the kids thing.